Are AJ and Stephanie From 'Married at First Sight' Still Together Today? 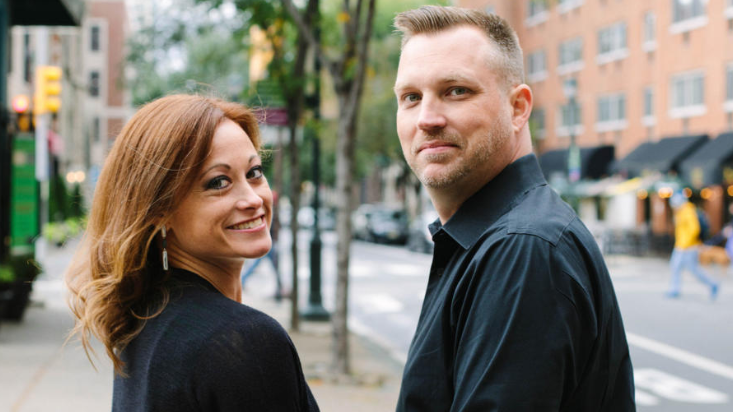 Before meeting for the first time, Married at First Sight's AJ Vollmoeller and Stephanie Sersen were all butterflies and nervous giggles. "I want to be married more than anything," Stephanie Sersen, 35, said while dress shopping for the perfect outfit to walk down the aisle. 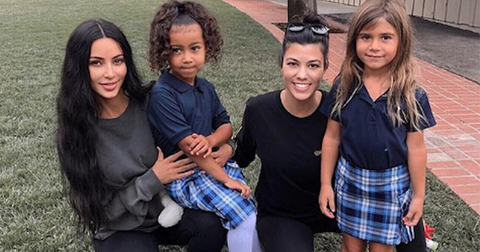 "I'm the last one in my family to be married and I'm just looking for that lifetime partnership," she continued. "Being together with that person no matter what, through thick and thin. I'm ready to not be alone in my life anymore." Staffing company owner AJ Vollemoeller, 37, also couldn't believe he was headed to his own wedding day. "It hit me, I'm finally going to have a wife. And I cannot wait to meet her and hopefully impress her," he told the cameras while trying on tuxedos. Once they finally met, the two are swept off each other's feet and appear to be absolutely crazy for each other. "We'll do what it takes, right?" Stephanie asks her beau around the one week mark of their marriage before the couple launches into a TMI make-out sesh. So, are AJ and Stephanie still together today? Unfortunately, in classic MAFS fashion, both of these newlyweds have their Instagram profiles set to private. You can follow his here, and Stephanie's here. But fans are very hopeful and have many theories supporting the plausible reality that this "older" couple is still together today. "I actually have a lot of hope for Stephanie and AJ," writes one hopeful fan on a reddit thread. Another adds, "I think Stephanie and AJ might make it cause they both seem like they’ll never stop fighting for each other." But the suspense is killing many fans who learned back in November that one couple on Season 8 wouldn't even make it to Decision Day. However, people are thinking that AJ and Stephanie won't be the ones to go. The reason they're so convinced? Their old, old, geriatric age of being in their mid-to-late thirties. "I like the idea of older couples because of maturity and understanding relationship needs. And a bit of desperation that they’re not missing out on their single 20s because that’s not the case," writes one person ahead of tonight's episode. "I feel like casting an older couple will get you one of two extremes on a show like this," writes another. "On the one hand, you'll find some people that understand how a relationship should work and what is really important, and they'll set aside some of the pettiness out of appreciation and maybe desperation for the chance at having a successful marriage. On the other hand, of course, you get the people that are set in their ways and stuck." We're thinking AJ and Stephanie will be the former. Someone else chimed in to add, "I know AJ is very energetic and not many people are fans of him, but I am really rooting for that couple." 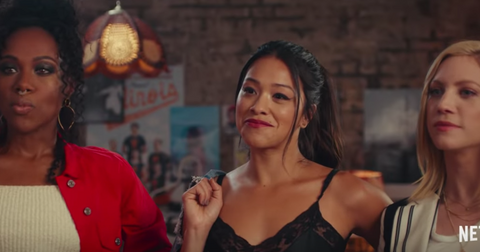 Plus, MAFS fans will realize the spotlight is never on this older couple during the awkward clips where contestants reveal they're not attracted to their partner — we're looking at you Luke and Kate — or find the things they do to be total turn-offs. In fact, Stephanie and AJ are so busy making heart-eyes at each other, they don't even do the homework their relationship expert assigns. Do you think their wise, old ages will be enough to keep Stephanie and AJ committed to each other? The show's marriage stats are nothing to sneeze at, so it's very possible these lovebirds will end up happily married by the end of this season. 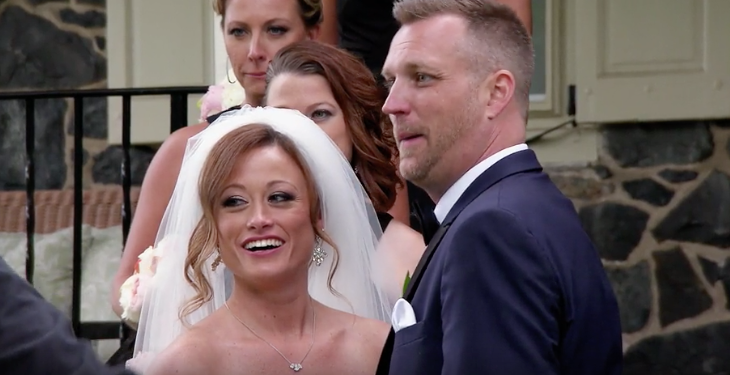 Whoever your favorite couple may be, don't miss Lifetime's Married at First Sight on Tuesdays at 9 p.m.
Is 'Married at First Sight' Couple Luke and Kate Still Together? 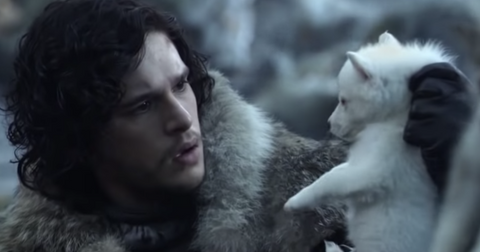 Has Jon Snow Replaced Ghost With a Dragon on 'Game of Thrones'?